I always loved her eye make up during this period. It was a warmer brownish color and not the harsh black she has now. I wish she'd stuck with whoever her makeup artists was back then. Last edited by Ledge Moderators : 05-14-2017 at 09:19 AM. Really? I never noticed, but on the Mirage HBO video she wears a classic black smokey eyes. that's definitely warmer. the worst example of the harsh black was her interview on CBS Sunday Morning where it just looks like Cruella de Ville. I couldn't find the full video but pieces of it are on the CBS site and elsewhere. 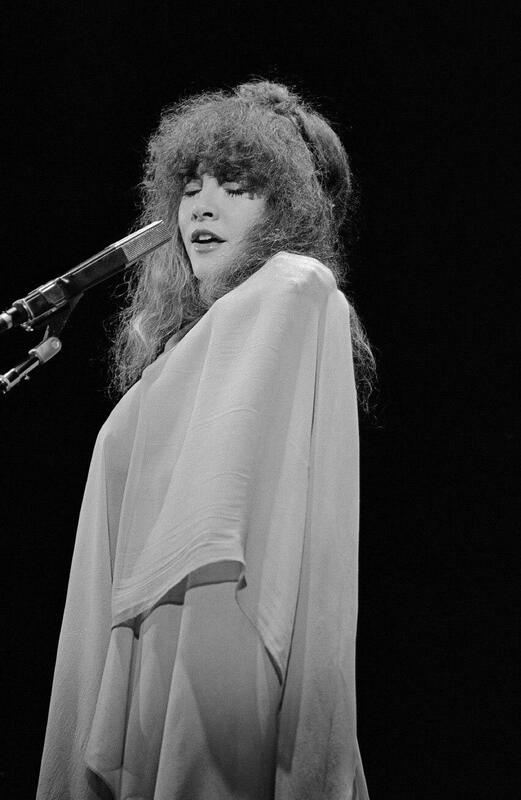 It was an annoying interview because the reporter, Rita Braver, clearly didn't "get" Stevie at all and was a bit of a snob. The video quality here isn't great, but I have it on my DVR in HD and the make up is really really harsh. Too bad because otherwise she looks fantastic-- her hair is great, she's slimmed down, etc. Yes, black directly on her face isn't flattering anymore. . Congratulations, it's nice to see men that have good taste in make-up. 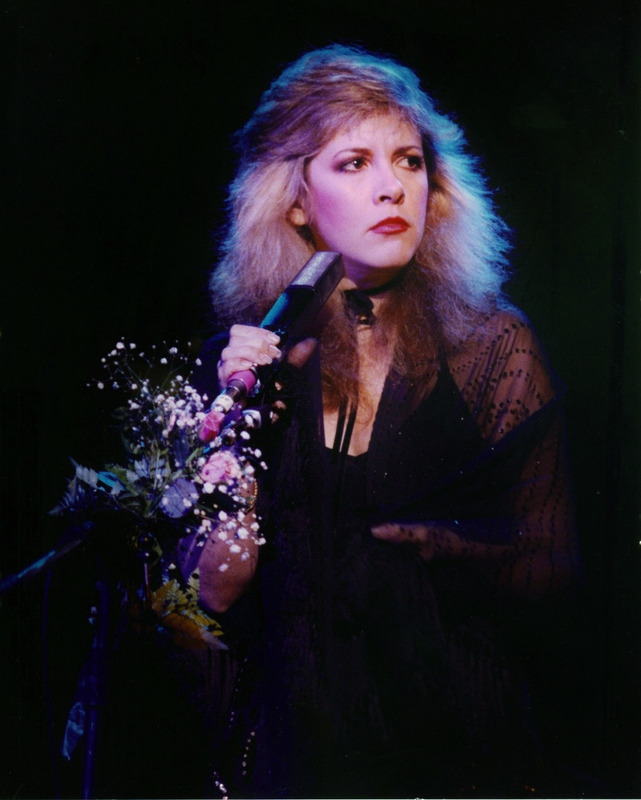 Actually you have a good eye for colors; in fact Stevie has a warm skin undertone so very cool colors look off on her. I don't know where I took this from, it's been in my folders for years but if I had to guess I'd say it's from http://rockonancientqueen.tumblr.com/. I hope one day I'll find a better quality version. This is one of my all-time favourites but I can't remember who it was from. I know that it's not from the blogs I usually "follow" and that I slightly edited it to use it as a wallpaper. The large version doesn't fit the page but it's here. I love these sheer black overlays, they're just so exquisite in all their details. 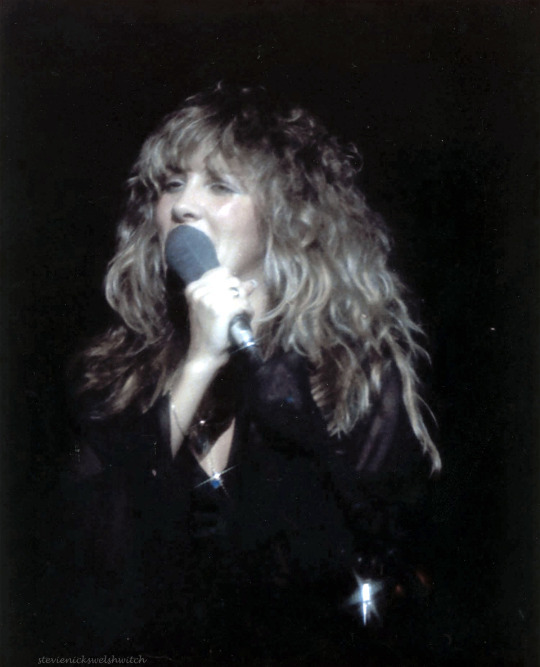 Yeah, that and the Mirage one are two of my all time favourite outfits of Stevie! Yes, and the thigh highs!